Explore The Past at The National Museum of American History! 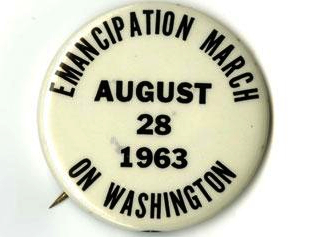 In 2013 the country will commemorate two events that changed the course of the nation – the 1863 Emancipation Proclamation and the 1963 March on Washington. Standing as milestone moments in the grand sweep of American history, these achievements were the culmination of decades of struggles by individuals – both famous and unknown – who believed in the American promise that this nation was dedicated to the proposition that “all men are created equal.” Separated by 100 years, they are linked together in a larger story of freedom and the American experience. To commemorate these two pivotal achievements, the Smithsonian’s National Museum of American History in collaboration with the National Museum of African American History and Culture will present an exhibition that explores the historical context of these two crucial events, their accomplishments and limitations, and their impact on the generations that followed. The exhibition will be on view from Dec. 14, 2012 through Sept. 15, 2013. Click here for more information.